Bradley, RVT is one of our full-time head veterinary technicians. She has been full time with Paw Print Animal Hospital since Feb. 2001. She is registered in the State of Ohio and a current member of the CVTA and OVTA. Bradley is family oriented and is the president of her kids' PTC organization. 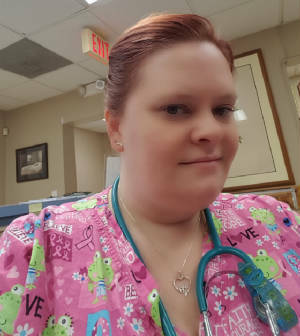 Bradley is highly skilled in all aspects of patient care and is dedicated to her love for animals. Lesley is one of our Vet Assistants and has been with our clinic since September 2006. Lesley has a customer service background and enjoys the small office and personal attention we can give each client. Helping animals feel their best is one of Lesley's favorite reasons for working at our hospital. 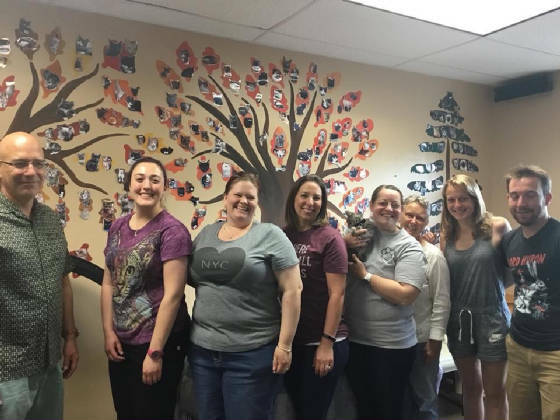 When she is not here helping animals, she enjoys doing volunteer work in the deaf community. 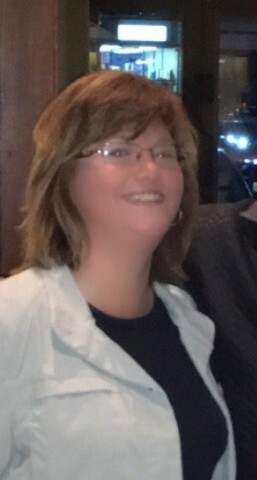 Stacie, MA is our Office Manager and joined our staff in September 2011. In addition to Paw Print, Stacie teaches Art History at UC Blue Ash. In her free time, she loves to spend time outside with her dogs and snuggle up and read with her cats. Her love of animals and exceptional commitment to client relations ensures our front office functions efficiently. Alana, RVT is a Registered Vet Technician who has been with our clinic since January 2016. 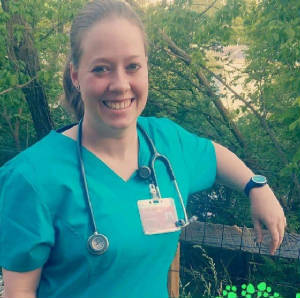 Alana graduated from the University of Cincinnati in 2018 with an associate’s degree in Veterinary Technology. 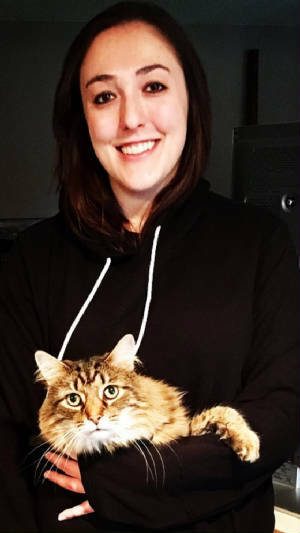 In her free time, Alana volunteers at OAR and loves playing with her cats. Alana's love for animals makes her a great technician. 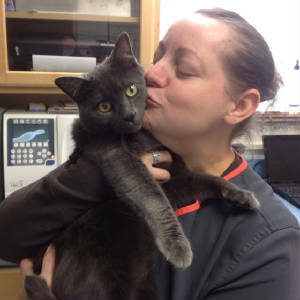 Carolyn is a Vet Assistant/receptionist who has been with our clinic since June 2016. In her free time, Carolyn enjoys spending time with her family, gardening, and walking her dogs. Her compassion to animal care is a great asset to our clinic. 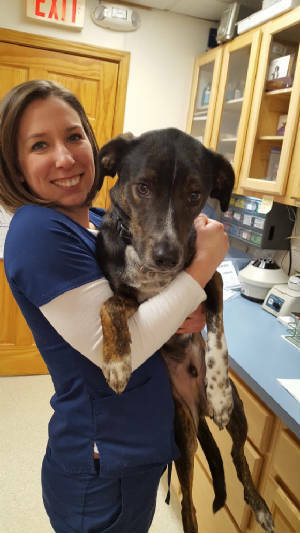 Sarah, RVT is a Registered Vet Technician who has worked at our clinic since she graduated from the University of Cincinnati in April 2018. Sarah loves creating art and spending time in nature with her two dogs. Aron, Adam and Katie: Dr. Bercz's three children are all off at college but will come in and help the staff over school vacations. 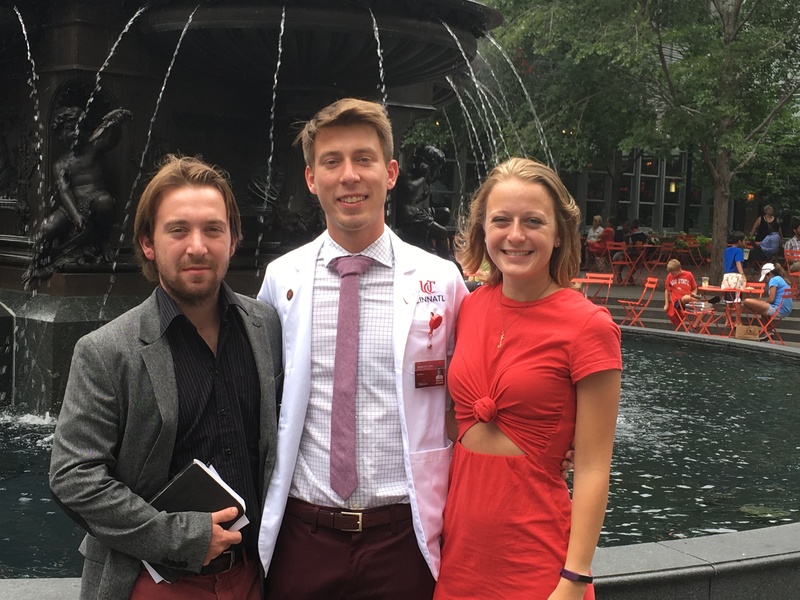 Adam is currently attending Veterinary school at The Ohio State University and looks forward to joining the practice in the future. Aron is in medical school at UC to become a surgeon and Katie is in nursing school at UC.